A beauty practice is often inherited. Many young women see their sisters or mother applying makeup and they learn the practices that they will use for the rest of their lives. Whether you will admit it or not, some parts of your beauty routine have been greatly influenced by a relative or friend that…might not really know that they are doing, believe it or not. 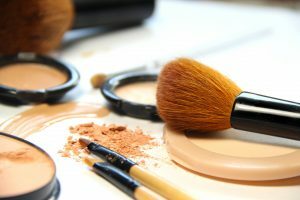 Whether you are applying a highlighter to your red spots of blemishes or damaging your eye lashes, here’s where you may be going wrong with these 5 most misused beauty products. While many different products have concealing properties, highlighters or concealing pens are often the most misused product, when you should really use is a creamy concealer. Highlighters and pens are sometimes wrongly used in order to cover redness and blemishes and actually end up drawing more attention to the affected area. Instead, highlighters and concealer pens are a better idea for handling dark under-eye circles as long as they work with your skin tone. If you’re not used to having pimples or acne, a very simple blemish can already cause a panic that can lead to a dramatic misuse or selection of the wrong beauty products. Spot treatments are not meant for long-term use and certainly aren’t meant to be placed all over your face. A lot of woman with very small problem areas are already using spot treatments or acne cleaners as their preventative measure which can actually cause thinning and excessive dryness on skin. In order to prevent these cases from happening, you need to consult a professional. You need to understand that not all eyelash curlers are similar. 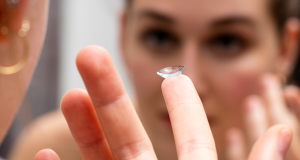 If you happen to use wrong curler or apply too much pressure to your eye, you can damage your lashes and this can eventually lead to them falling out. When using beauty eyelash curlers, apply pressure in short bursts rather than with a big squeeze. On the other hand, when buying an eye curler, you should look carefully at your eye shape and compare it to the curler. Keep in mind that buying a popular eyelash brand doesn’t automatically mean that it is right for you. A lot of women misunderstand the real purpose of using foundation. It’s not there to provide you an instant tan or to cover your pimples or acne—foundation is there to balance or even out your skin tone. If you have pimples, foundation can be your first beauty step to having a full coverage. However, many women go wrong by using more foundation than what they really need. The majority of women can get away with using a tinted moisturizer or a sheer foundation because the texture of their skin is naturally good. Using contour can make or break your appearance, especially if you have a fuller-cheek baby face, but wrong application of the product, or using it in wrong color, can be very obvious. Before buying one, make sure that it complements your skin tone and you know how to apply it properly. Adore Cosmetics specializes in organic innovation by harnessing the power of fruits and botanicals—along with proven, leading-edge skincare ingredients—to formulate products designed to help strip away the aging effects of sunlight, contaminants and oxidation while promoting fresh, radiant skin. Read Adore Cosmetics reviews online at Adore Cosmetics. Many people want their teeth straightened but don’t want to wear traditional metal braces. 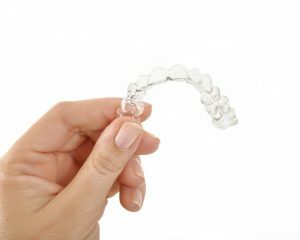 Glendora Family Dental can provide patients with Invisalign clear aligners. There are many advantages to Invisalign. Food tends to get stuck in metal braces. But you can remove Invisalign aligners to eat and not worry about food particles in them. This improves overall oral hygiene as well. You can remove Invisalign to brush and floss, and you can clean the aligners with lukewarm water or a cleaning kit. Cleaning metal braces is a lot of work. With Invisalign, patients get their teeth cleaned quickly and easily. It’s all part of Glendora natural dentistry and the clear aligners. You’ll need to wear your aligners 20 to 22 hours a day. Can you do your regular activities with them? Very likely; you can play contact sports if you remove the aligners and put in a mouthguard. You can play musical instruments with the aligners in. You can also eat whatever you like (although gum is not recommended). The average treatment time for Invisalign is about 12 months, somewhat shorter than with metal braces. You’ll have to visit your dentist about every six weeks to get your aligners adjusted. Your teeth may be sore after the adjustment, but an over-the-counter pain med should take care of that. Invisalign aligners are almost invisible, and they have minimal impact on a normal life. If you’re considering teeth straightening, look into Glendora Invisalign and see if it’s right for you. Glendora natural dentistry office Ecco Dental provides a comprehensive array of services to all patients. Vitamin C, popularly known as ascorbic acid, is a great antioxidant. The main role of this vitamin in the body is to prevent free radicals from causing damage in the different parts of the body that causes a person to age and to get sick easily. However, if you add Ascorbic acid in your diet, it will offer a lot of benefits that will enable you to gain rewarding effects that are guaranteed to be beneficial to your health and makes it possible to slow the aging process of your body. Many younger people have collagen in their skin, which is responsible for providing elasticity to the face but as soon as that person becomes old, the amount of collagen drops off. The result is, the appearance of wrinkles but with ascorbic acid, the amount of collagen in the body never wears off making your skin look young and anti-aging free. A daily intake of ascorbic acid is a big help in making you look younger by being wrinkle free. The minerals that is within this amazing vitamin can make your face glow and blooming all the time. The signs of aging will not be seen in your face but you will have the look of a beautiful and young face. Ascorbic acid supplement cannot only prevent the cause of aging but it can also prevent the formation age spots, which pertains to the skin discoloration on the face, hands and neck, which is caused by the extreme heat coming from the sun. Age spots can appear on any part of your face after several years of sun exposure, so it is important to drink a lot of ascorbic acid rich foods and drinks in order to prevent the discoloration of the face. This will also add to the smooth glow of your skin and at the same time, one can set a good healthy lifestyle because of this. Not only free radicals damages the collagen for in some cases, it also causes a kind of inflammatory arthritis which is like rheumatoid arthritis (RA). Once less collagen is produced inside the body, your cartilage will start to degenerate and eventually, will break down which leads to the inflammation of the joints. Having a dosage of Vitamin C can help prevent and cure arthritis. Ascorbic acid has certain minerals that are essential in preventing inflammation in the joints. This is also very essential in order to move without difficulty when doing many activities. Ascorbic acid offers a lot of rewarding benefits that are proven reliable and competent by experts. It is great for anti-aging and is very beneficial in curing colds and flu. 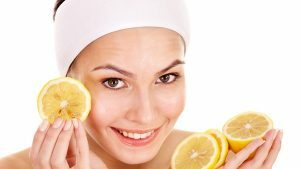 Lemon juice is a great source of ascorbic acid and its contents are proven not only to get rid of colds but also to improve your body’s immune system. It is very essential and important to many people. Adore Cosmetics is an organic cosmetic company that boosts your skin’s power for renewal using incredible breakthroughs in biotechnology. Read more at Adore Organic Innovation.